Today, I want to show you another creative way to journal. We have already talked about using Doodled frames in your journaling and there is a free download in a previous post about it for you to try out. This technique is similar in that it is also a unique way to list things or organize your thoughts. This particular approach was introduced in the Create Truth Art Challenge when we were praying scripture over children but can be used for just about anything. The technique is journaling in a sunburst pattern. You are going to love it because it offers a different fun visual representation of your writing and it's so easy to do. You can find this Creative Prompt in Week Eleven of the challenge HERE. The final page that I created was used in conjunction with the list of Praying Scripture Over Children. Remember that this challenge is FREE to sign up for if you want to check it out more. Each week there is a devotion and an art journaling prompt posted. The challenge ran live from January through March of 2017, but you can go through the challenge at any time at your own pace. There are no rules! 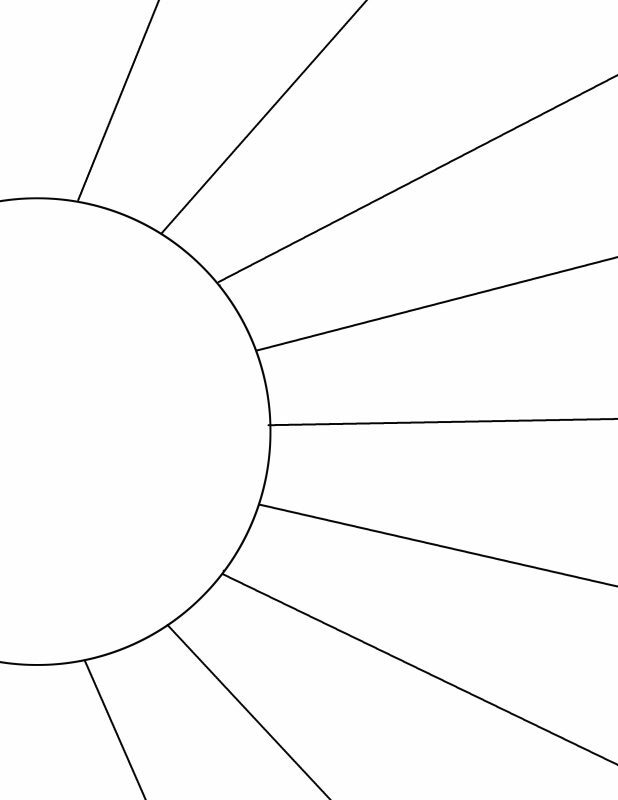 A sunburst pattern can be unilateral (like mine) or you can put the circle in the middle with the rays extending all around. In this prompt, I challenged you to write down prayers for children in your life in a sunburst. You could write the name of the children in the circle, color it in or just use your imagination to create this page any way you want. One of the cool things about this is that it really takes no artistic skill to get started. Can you draw a circle? Some lines? Then you can do this! I've included the FREE page with a sunburst on it from my book. It's all ready for you to print and use yourself if you want. You can resize the sheet to the size you need or just use it as inspiration and draw your own. Use this page in your planner, your Prayer Journal, or any notebook. Or just fill it out and put it on your Fridge. Write prayers, scripture, sermon points, to do lists, shopping lists… well, anything on it! It's quick and easy and if you are a visual person (like I am), it can really help you stay focused. Have fun with it.